Here is our last Potsdam Dress of The Week for the Summer! Remember, this wedding dress is 30% off! They go fast, so Good Luck! Here is our last Plattsburgh Dress of The Week for the Summer! Remember, this wedding dress is 30% off! They go fast, so Good Luck! Eternity Bridal Plattsburgh Dress of the Week 2018. This wedding dress will be 30% off this week only , so please make sure you make your appointment now because these dresses go very fast! Good luck! Our last dresses of the week for the summer will be posted next week. Thank you to all of the brides that have participated! It was fun! Eternity Bridal Plattsburgh Dress of the Week 2018. This wedding dress will be 30% off this week only , so please make sure you make your appointment now because these dresses go very fast! Good luck! 2018 Eternity Bridal and Boutique Fashion Show at the Massena Mall with designers Stella York, Allure, Justin Alexander, Essense of Australia, and Every Body Every Bride Plus Size Wedding Dresses. New Stella York Wedding Dresses Just In! Here are two NEW Stella York wedding dresses that we just go into the Potsdam store. They are amazing and you have to make an appointment to try them on! You definitely will not be disappointed. Potsdam Dress of the Week! Here’s Potsdam’s dress of the week! This dress is 30% of this week only. It usually goes fast so make your appointment now! Good luck! Here is Plattsburgh’s dress of the week! This dress is 30% of this week only. It usually goes fast so make your appointment now! Good luck! This article is for our mother of the bride and groom. We’ve seen many mother of the bride and grooms coming in looking for a great dress for their son’s or daughter’s wedding. Bridal boutiques offer an exclusive shopping experience that you will not get at big box stores. Although we have many dresses in the store that can be purchased off the rack, most bridal boutiques don’t carry every color, size and design that some mother’s are looking for. Many of our dresses are sample dresses designed to be tried on and then ordered based on our bridal consultants measuring you for a custom and proper fit. That means the expectation to normally buy a mother’s dress off the rack will be slim. It then takes 12 to 16 weeks to get that dress in our stores because it is made at the time of the order. One advantage of this is that you have a dress made for you and no one else has worn your dress before you. We do have a mother’s dress gallery that you can take a look at to get a better idea of what’s out there. So when you or someone you know becomes a mother of the bride or groom, and wants the bridal boutique experience as opposed to picking up a plain Jane dress from a big box store keep in mind that coming in 6 to 8 months before the wedding is a must if you want to be that stunning mother of the bride or groom at the wedding. Here is Potsdam’s dress of the week, which will be discounted 30% this week only. Make sure to make your appointment now! They go fast, so good luck! Here is Plattsburgh’s dress of the week, which will be discounted 30% this week only. Make sure to make your appointment now! They go fast, so good luck! We’ve seen a trend of “brides to” be waiting until the last minute to buy their wedding dress. Why wait for the last minute to do anything, let alone buying a wedding dress that usually takes several month to be made after you are measured and pay for it. Most bridal shops are not keeping all sizes in inventory just to wait for you to come in and buy it off the rack, unless you want to consider the Wal-Mart of Bridals; Davies Bridals. You know who I mean. Their business model is very different than your local bridal shop. They are advertising $99 wedding dresses and when you come in, you end up paying $1,200 for a dress that everyone else wore before you and guess what? You’re buying that worn dress and taking it home. I digress. Let’s get back on topic. Oh yes, don’t wait until the last minute to buy your wedding dress. The process takes 10-12 months out and I promise you will feel so much better wearing a dress made for you rather someone’s soiled dress that you took off of the rack at “Davies Bridal”. You will still have some minor alterations once your dress comes in so that is another reason to start shopping 10-12 months out. There is no exclusivity and 100 “brides to be” already tried on that dress that you’re taking home. I guess if you don’t care about that type of stuff, more power to you, but more brides want an exclusive experience and a special product that those big box stores can’t even come close to. Did I mention the customer services at those stores? It’s pretty much self serve like those new kiosks at Wal -Mart. You’re really on your own. If I’m wrong, please educate me. I’m going based on feedback by brides that have had an awful experience in those big box stores. Did I forget to mention that there is a reason “Say Yes to the Dress” shows on TV. The reason is because the majority of brides want the exclusive experience that only a bridal boutique can provide. There’s something to be said about having your girls and family members there when you make the big decision and It’s a totally an emotional experience. Who doesn’t want to experience that? So if you feel the impulse to wait until the last minute to buy your wedding dress, think again. Too many things can go wrong at the last minute and you may not have time to fix them. See your local bridal boutique 10-12 month out and you will thank me for it! Experience the Royal Treatment and Best Dress Experience! Why buy your wedding dress online when you can have the queen’s treatment and experience going to a local brick and mortar bridal shop. Brick and mortar bridal businesses are the best place to get your wedding dress. I know you can now buy everything including the kitchen sink online, but some things are meant to be experienced the old fashion way. You won’t experience the “ Say Yes to The Dress” moment if you buy online. Buying locally in a brick and mortar store supports the local economy as well. Why is it when some famous person endorses or sells something online, everyone jumps at the opportunity to buy their product? They’re already rich and getting richer, so why not support people you most likely know who own their local bridal shops and depend on your support to keep their businesses going? These people will surely go out of their way to make you a happy bride! 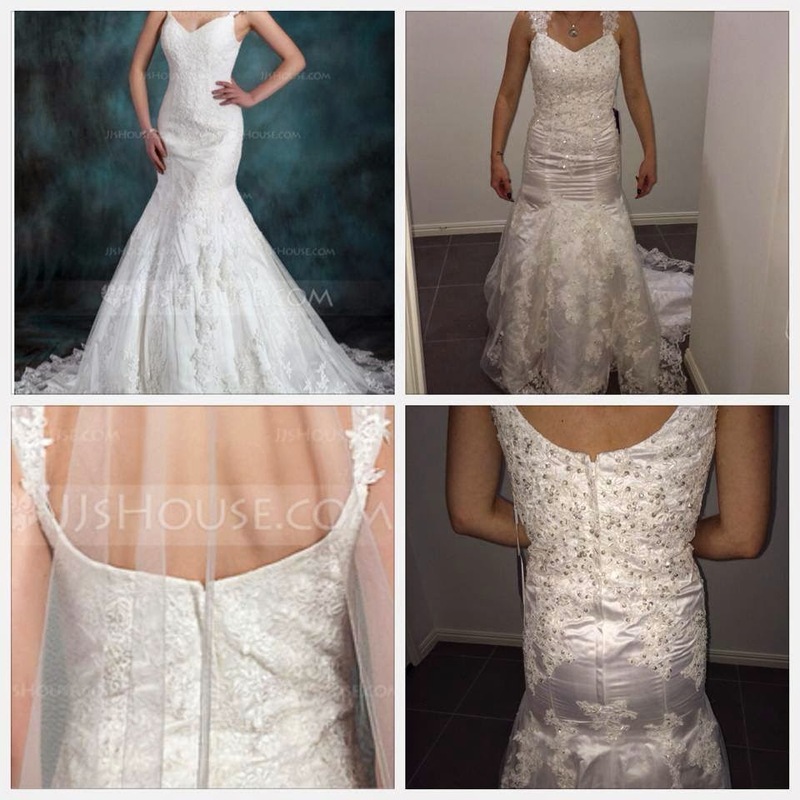 Have you seen the horror stories posted online about brides to be ordering their wedding dresses from Chinese companies with American names and getting a disaster that is supposed to be a dress? Measuring a bride for a wedding dress is no simple task. Throw everything you know about measuring yourself for regular clothing out the window. Doing it for a wedding dress is a whole different game. That’s a major reason to support your local bridal business. They do it for you and happen to actually know exactly what they’re doing because they have the expertise and experience to get you fitted for the perfect dress . Once your dress comes in, there won’t be a horror story, just your basic alterations to make it your “Yes” dress. Weddings are a coveted once in a lifetime event (hopefully) and you only get one chance to do it right. So next time your bridesmaids or maid of honor recommends ordering your wedding dress online, send them to this blog post. There is definitely enough evidence to backup your reason to shop locally. Just Google it! Essense of Australia Designer Show September 14 and 15. Discounts Given! your dream gown in sizes 0-34! Yes Plus size wedding dresses you can put on! Schedule your appointment now – space is limited! Here is Plattsburgh’s dress of the week, which will be discounted 30% this week only. If you like Pnina Tornai, you’ll love this dress! Make sure to make your appointment now! They go fast, so good luck! Welcome to the new Eternity Bridal and Boutique Website! We’ve added additional features and functionality to enhance your formal wear buying experience! 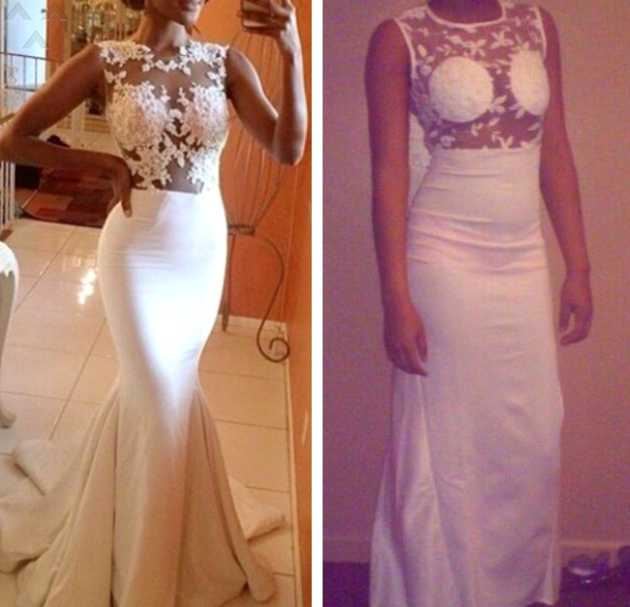 Take a look at our dress galleries for your bridal, bridesmaid, and prom needs! We didn’t forget about the guys either. We’ve added tuxedo galleries to help you choose the best looking tux in this region! Stay tuned, we’ll be posting periodically here and you don’t want to miss out on any deals or promotions we will be having!